The CORRECT MACHINE for the job! 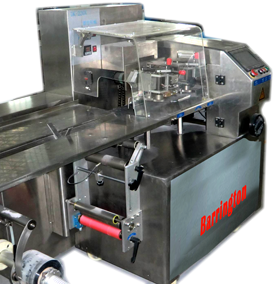 Packaging Machinery Barrington Packaging Systems Group (Barrington Packaging Systems Group) brings you new packaging machinery for the price of used equipment using the economy of global manufacturing and the security of US quality control and service. Our full line of machines includes Horizontal Flow Wrappers (HFFS), Vertical Form Fill and Seal (VFFS) baggers for, Single and multi-lane stick baggers, sachet packers powder-liquid-granular products, shrink wrappers, continuous band sealers, carton sealers, vacuum sealers, pallet wrapping machines, semi and automatic induction sealers, cappers, cup top sealers, printing and labeling systems and rotary baggers for stand-up pouches. We also offer quality control equipment – check weighers and metal detectors – to keep you in compliance with your Food Safety HACCP Program (Hazard Analysis Critical Control Point) American Institute of Baking (AIB) or Good Manufacturing Practices (GMP’s) program. 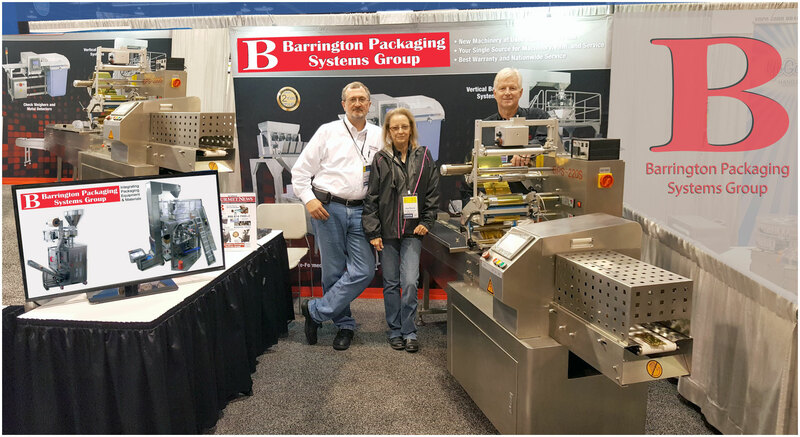 Barrington Packaging Systems Group features several specialty options for the coffee, pharmaceutical, food products, cosmetics and condiments industries. Our service team can handle emergency service on your packaging equipment, perform installations, implement preventative maintenance, and train your production department in machine operation and troubleshooting. We also offer service contracts to make sure that your equipment keeps operating and that you have no interruptions in your packaging process. delivering printed film in as little as 7 days from artwork approval and in just 5 days on plain laminations.Barrington offers a full line of Environmentally Responsible Packaging (ERPTM), including Biodegradable films. 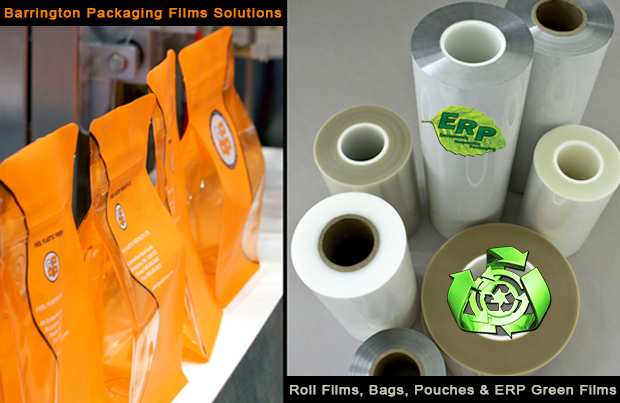 Barrington also offers an expedited Film Emergency Service, delivering printed film in just 7-14 days after approval of artwork.